I started feeding Gracie apple cider vinegar recently because of her yeast infection and while I was reading up about how it’ll benefit the dogs, I was reminded of the many wonders of this often touted health and beauty elixir. I can see the reason for the raves, considering how cheap and easily available this item is. Unfortunately, because of the funky smell, I can’t bring myself to drink nor douse my face and hair with it regularly. 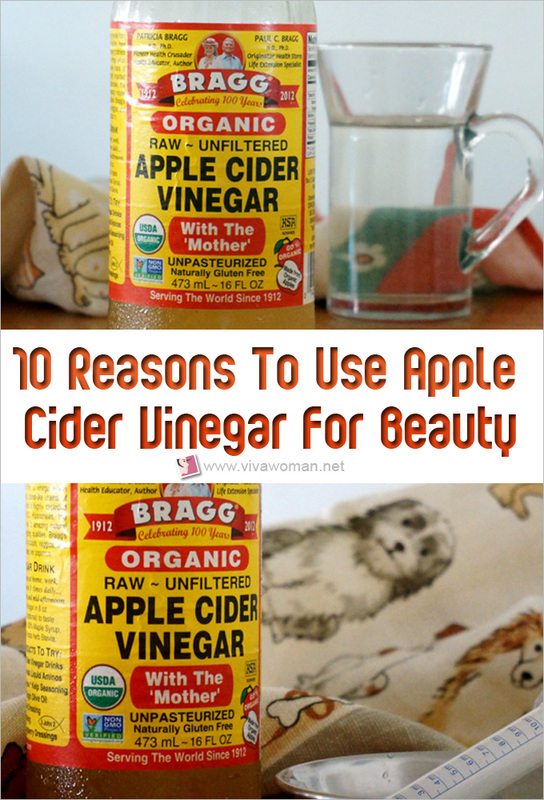 But if your nose is more tolerable towards what smells like sweaty socks (o.O), you may want to read on to find out the different beauty reasons to use apple cider vinegar. 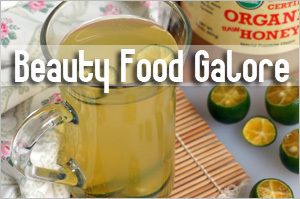 But first, let me share with you a list of five celebrities who have been benefiting from this vinegar. Because apple cider vinegar cleanses the digestive system and makes the digestive tract more alkaline, many celebrities like Heidi Klum love it for its detox and slimming benefits to rid the body of extra fats and proteins. The German celeb swears by a pre-meal gulp of vinegar to curb her food cravings. According to news report, Megan Fox is not a fan of exercise or dieting. But the star of the new movie, Teenage Mutant Ninja Turtles, is said to keep her body in shape by drinking apple cider vinegar before every meal in order to rid her body of sugars and water weight. I really like Scarlett Johansson, especially her role as the “Black Widow”. I don’t think anyone would argue with me if I say she’s got a great figure but unlike the other two stars I’ve mentioned who use apple cider vinegar for slimming purposes, Scarlett Johansson uses apple cider vinegar to wash her face. I doubt she uses that alone to keep her skin looking tip-top but it’s good to know she endorses it. On the other hand, Jessica Alba uses apple cider vinegar as a hair clarifying rinse to remove product buildup and as a weekly treatment for dandruff. Her recipe? Just add two tablespoons of apple cider vinegar to one cup of water and use it as a rinse after shampoo. Having tried this, I’ve to warn that the smell is pretty unbearable but it’ll dissipate after some time. So best not to use this prior to your hot date k? It seems Katy Perry is also a fan of apple cider vinegar. Well, she calls the vinegar her “secret of all secrets” but it’s not really clear how she uses it. 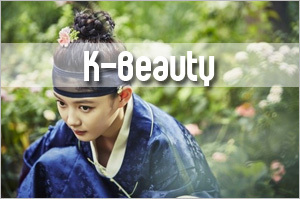 It seems she uses it at times to stay in shape by adding a little apple cider vinegar to her water. In another report, I read that she drinks the mixture to help proÂ­tect her voice and health. Some of you may think that this is all some hogwash and it’s impossible that apple cider vinegar is so wonderful. Well, I can’t blame you because there are insufficient studies to support some of these claims. Still, many people have come forward to share the benefits and it can’t all be that bad right? 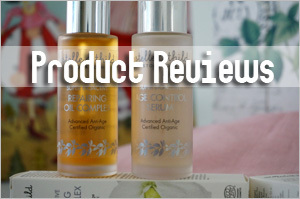 So what exactly are some of beauty reasons to use this elixir? It seems that the tart, sour acetic acid produced during the fermentation process helps reduce body fat accumulation. So if you want to shed some pounds, try cleansing your body three times a day by drinking a cocktail of apple cider vinegar and water. Rinsing your hair with apple cider vinegar once a week can help to remove the buildup from using silicone-based shampoos and conditioners. Just use Jessica Alba’s recipe of adding two tablespoons of apple cider vinegar to one cup of water, pour it over your hair after shampoo. You don’t have to rinse your hair again if you can tolerate the smell. If you have very oily scalp, rinsing your hair with apple cider vinegar will also balance your scalp condition by reducing the amount of oil production. Another benefit of rinsing your hair with apple cider vinegar is that it will regulate the ph balance and seal the hair cuticles, making your hair look smooth and shiny. I also read that some people have suggested that taking apple cider vinegar orally or applying topically on their scalp have helped them with new hair growth. While not extensively supported, it does sound plausible since apple cider vinegar contains essential minerals like potassium, calcium, magnesium, phosphorous, Vitamin C, E, and others that promote healthy hair growth. What I did in the past was to saturate a cotton wool full of undiluted apple cider vinegar and dab it to my scalp after washing my hair. It is actually best not to rinse out but the smell is unbearable even though it does dissipate after some time. So I usually just let it sit for about 10 minutes before rinsing off. However, because I didn’t do it for long, I couldn’t tell if it did anything for my hair growth. Besides regulating the pH level of our skin, apple cider vinegar is often said to have natural anti-inflammatory properties and is therefore effective to treat acne causing bacteria. 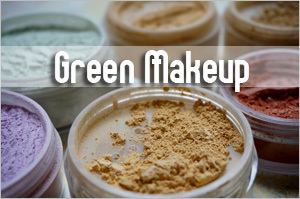 In this case, it is best to use the apple cider vinegar as a toner, diluted either with mineral water or green tea. I wouldn’t recommend using this too often if you have sensitive skin but it might make a good spot treatment for blemishes or it might work very well if you have back acne. 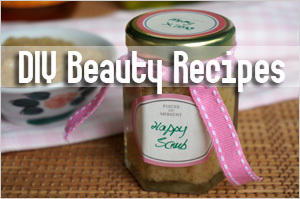 If you are interested to try it, check out my DIY recipe using aspirin and vinegar. 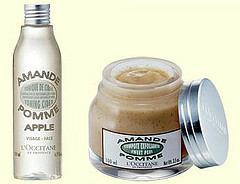 Apple Cider Vinegar is said to be rich in alpha-hydroxy acids and hence, is great as a natural skin exfoliator. Iâ€™ve tried applying ACV neat on some of my acne spots and it did help to reduce the redness and inflammation for some of them. With its AHA properties, apple cider vinegar may also work as a natural peel for age spots if the spots are not lodged deep beneath the top layer of the skin. Some women swear by apple cider vinegar to ease their PMS symptoms like cramps and heavy bleeding. According to some sources, adding blackstrap molasses to the vinegar is even more effective. Ironically, apple cider vinegar is also recommended to help with body odor. Apparently, you can eliminate unsavory smell with oral and topical usage of the vinegar. Smelly feet? Try an apple cider vinegar footsoak! 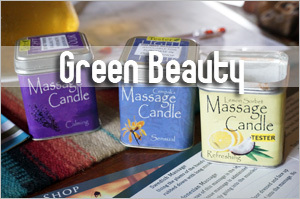 – Purchase only raw, organic verson that is all natural and unprocessed. – Apple cider vinegar can ruin tooth enamel because it is acidic. – Never drink apple cider vinegar without diluting it. – Drink ACV with a straw to prevent the vinegar from eroding your teeth. – Immediately rinse your mouth well with water after drinking ACV. 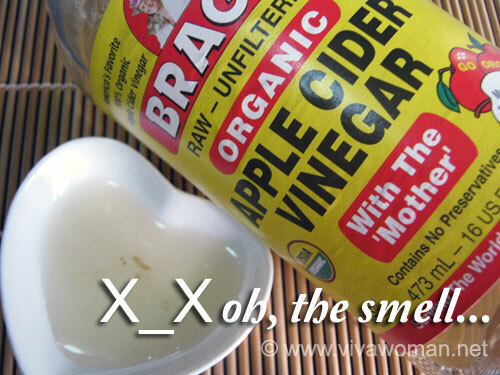 – Don’t brush your teeth right away after drinking ACV. – Try not to use boiling water with ACV. 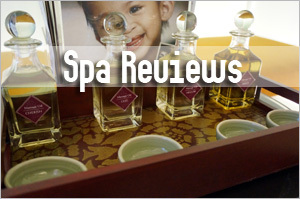 – Do not use ACV as a mouthwash as some have been recommending. If you have a medical condition, I would highly recommend you check with your doctor or some trained experts if apple cider vinegar is suitable for you. While writing this entry, I tried drinking a glass of apple cider vinegar diluted with water, pinching my nose while doing so. It didn’t taste so bad but I definitely need to be motivated to continue drinking it. So how about you? Are you into drinking apple cider vinegar? How often do you drink it and how has it benefit you so far? I have used ACV on my hair. I tried the ACV hair tonic I found on iHerb (WiseWays Herbals). It did leave my hair soft and shiny and bouncy and I could not smell it at all once my hair was dry. BUT when I went to the gym the next day and I started sweating I could smell the vinegar pretty strongly. :-/ Next time I rinsed it a bit more, but it did not make much of a difference; once my head got warm, ACV smell was definitely there. I ended up adding it to my shampoo (i.e. diluting the shampoo with some ACV tonic directly in my palm) and it worked nicely as a clarifying shampoo. You just want to make sure it does not get into your eyes!! Oh an ACV hair tonic! How interesting! I shall go look it up. I wonder if it helps with hair growth too. I didn’t realized the heat will bring back the smell but good tip about adding to the shampoo. While we are on this topic, i have a braggs ACV sitting on my work desk staring back at me, I really really tried taking it daily but gave up after a week or two. I had tried taking it on and off for years but the smell is really arghhhh!!! 🙁 pinching my nose while taking it didn’t help much as the pungent taste still traveled down throat. I know exactly how you feel. Same here…very very hard to drink this stuff. Not regularly for me at least. I have not tried Braggs, but I can attest that Jarrow Formulas ACV with “Mother” can be drunk straight out of the bottle and it’s actually rather pleasant! Not sure what’s different from other ACVs, but its taste is rather sweet/sweetish and it will not burn your throat more than a straight whiskey would! 🙂 I also found that on iHerb and it comes in a small plastic bottle which means it’s not heavy either. You can add a bit of raw honey if the taste is too strong for you (: My dad used for force us to drink it everyday when we were kids and I hated it. But now I’m glad he did for it as it really curbed our teenage acne! You mentioned not to take ACV with something sweet like honey, is there any reason why it’s bad? I was introduce to ACV by a honey seller who told me to mix it with honey and drink it 1st thing in the money for detox and slimming purpose. And I’ve been doing it for a few years. Do you think I should stop this? According to a dentist’s comment in a forum, the combination is lethal for the teeth. Just ensure you rinse your mouth after drinking or drink with a straw…probably will help. Oh dear! Thanks for the update, I better visit my dentist soon, however, I would like to share with you that the last visit to the dentist, there wasn’t any harm done. Perhaps it’s the way i drank, the mixture didn’t really touch my teeth. 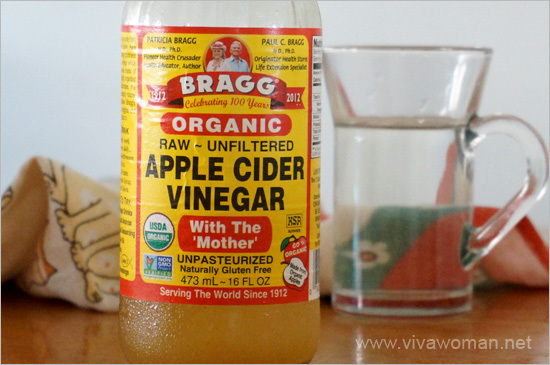 I also tried ACV with just water last night, this time really for slimming (hope it works! ), I was expecting it to be bad, but I guess my many years of drinking with honey actually made it acceptable to me. Share a storey with you. I told my friend about ACV couple of years ago and so she tried a small glass for detox. She told me she had the runs after drinking and then we realised why. She drank about half a mug of ACV neat! I realized I made a typo in my reply – I’d meant to say drink with a straw and not a teeth! LOL. Yes, your drinking method is right so I suppose that’s why you teeth has no issues. So in that case, no issues drinking with honey. I think the taste is more tolerable? As for your friend, wow…how did she manage to drink half a mug neat? Wouldn’t it burn or something? I actually like the taste of ACV with honey! Haha! She told me it was really not easy swallowing it, and she wondered how I managed it daily, but since I did and it’s supposed to be good, she did it. ONCE! Got scared after that. Of cos, after she related that incident to me, to ask if I also had diarrhea, she realised she left out the honey and water. I really don’t know how she missed out on the honey. Try it with clover honey, it helps with the taste bit. I love apple cider vinegar (not the taste), I feel better after having it, more energy definately. I tried it a few years ago for a detox and have been taking it ever since. Oh wow! I did read about it being used on warts and was skeptical but your testimony just floored me. So interesting! I hadn’t expect ACV to be so effective! I have one on my leg for the longest time and wonder if it’ll work. Wow. I am totally going to buy apple cider vinegar. My brother has been using it for weight, but I wasn’t too sure how well it worked. But reading all the great benefits, and that even Hollywood is using it for its detoxing benefits, makes me want to start using it asap! You can read some of the other comments — ACV can help with weight lost. Here’s a real testimonial from my husband who drinks Acv with water before a meal to lose weight. The only exercise he incorporated was to jump on a trampoline for 5-10 mins every morning. He is a believer after he tried every easiest way to lose weight including diet pills. Sounds too good! I can do this and the trampoline! That’s good! At least it dissipates totally unlike using on the hair. Hope it’ll yield you long term benefits! I just want to share my own experience with you and your readers as I’ve had very positive results from consuming ACV. After stumbling upon your article in June, I decided to grab a bottle of Braggs from NTUC to try. I mix a chinese soup spoonful of ACV to a glass of water and drink it upon waking up (before even brushing teeth) and again before dinner. The smell and taste is indeed not very pleasant but the aftertaste goes away rather quickly or you can rinse with mouthwash. After 2 weeks of religiously drinking it twice a day and with no other dietary or exercise changes, I noticed my jeans getting looser and my thighs smaller! Now after 4 weeks, I’ve lost 2kg and my clothes are definitely looser on me! This is really unbelievable because I’m not really plump to begin with, just wanted to lose the final 2kg of pregnancy weight gain. And I’m already a vege and fruit lover who eats healthily and exercises too so it was difficult for the final 2kg to go away. I’m sure a person with more weight to lose will see better results but please do not overdose on this. 2-3 glasses a day before food is ok but not more than that. I recommend drinking before meals as you may feel hungrier after the drink (but funnily, I feel full rather fast too and ended up eating lesser). Other benefits include easier bowel movement, less bloating n gas after meals and somehow, less cravings for snacks at tea or supper time. I have yet to try applying ACV topically so no comments on that. Wow! Sounds like something I need to get started on. I would love to have smaller thighs! Yes you really should give it a try! Just pinch your nose and gulp it down twice a day for 2 weeks and see how you feel. I’m now wearing back all my pre-pregnancy clothes and have never had slimmer thighs! However, I noticed my bust becoming abit smaller too. Sigh….. Can’t control where the fats are being lost….. I use ACV as a feminine wash. One part ACV and 2 parts cold water. One rinse with the mixture and 2 rinses with water at night and just rinse with water in the morning. It served it’s purpose better than feminine washes bought at stores. Hey ! 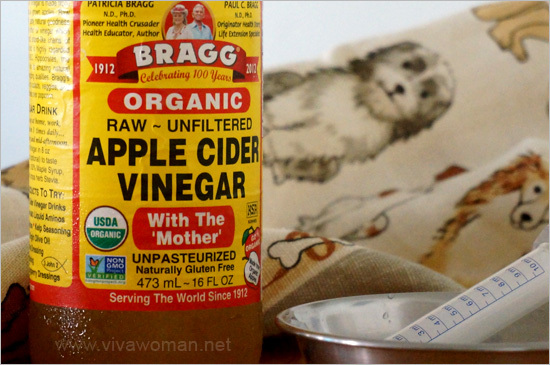 can i know where you purchase Bragg’s Apply cider vinegar from? I’ve had a hard time looking for it. REally appreciate it! thank you!!! 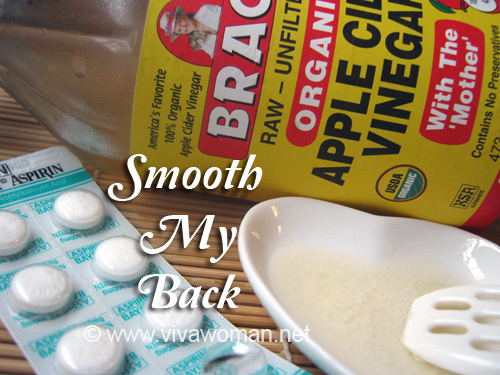 I use ACV on my hair after shampoo to remove limestone from my hair and to add glow. I loooooove it! As you mentionned, I heard about the mixture ACV+honey+luckwarm water to help grow your hair. I heard from people who tried that the first weeks you have many acne spots cause of toxines that ACV helps erasing (like a deep skin cleansing). For the hair growing part, it depends on people. If Gracie is having yeast, she should be put on a raw food diet. One that doesn’t have that much veggies/fruits like K9 Naturals. Even better, DIY raw! There’s a group on FB called Raw Feeding that you can check out. Thanks, H! I fed her K9 for a period of time but it didn’t improve her condition. Subsequently, I changed her shampoo and she’s doing so much better now. She doesn’t smell bad now and I only need to bathe her once a week. Praise the Lord! Can the teenagers use Apple cider vinegar as a toner ? 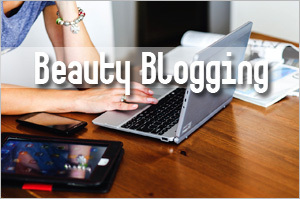 Yes…but it’s best you do patch test and see if it causes any allergy on your skin. Hello! Can apple cider vinegar thin the skin after applying it once every night? 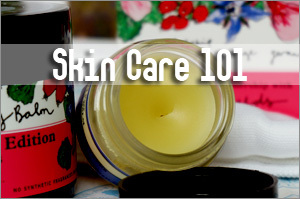 I read about over exfoliation and not sure if ACV can cause that? 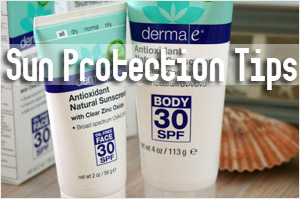 I don’t think it’ll thin the skin but if you’re concerned then perhaps don’t use it daily. thanks for the great post, I too find the taste of vinegar unpleasant, but lately I’m drinking it with raw honey, this way it actually tastes good to me, Your post encouraged me to try it as a toner too! Hope you’ll have good experience and results using it. I drink ACV with a cup of herbal tea sweetened with some sort of sweetener such as honey or stevia. I think it improves the taste of the tea. I prefer mint tea or some sort of fruit tea cooled off. i love apple vinegar! thanks for sharing!